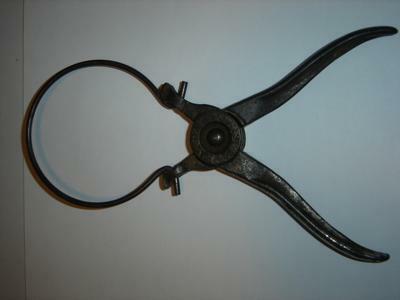 We have this tool that was found it has stamped on it PAT D MAY 27,1902. We are trying to find out any information or what it is if anyone can help us let us know. Thanks for any information. If the hoop is the right diameter, I bet a tool like that would be great at removing Mason jar lids that were on too tight. If you find it clamps on a Mason jar lid, then that's exactly what its for.